Midlands 5 piece Violet come drenched in big sounds with an indie spark, combining influences that draw from 90s Grunge to Britpop. Pedal immersed guitars entwined with intricate drums and powerful basslines come together to create a unique ethereal, yet captivating sound. 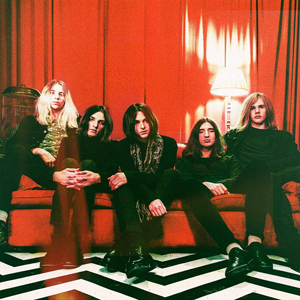 The band are likened to the ambience of Slowdive, the mystique of The Horrors and the intensity of The Brian Jonestown Massacre. Formed in late 2016 through interconnected lives, Violet have spent the best part of a year writing, recording and honing their sound. Having completed a UK tour for their debut ‘FEEL’ released on September 15th via HolyHowl, the band celebrate the end of the year with their own curated Xmas show. Starwheel are a dream pop group hailing from the Midlands. Starwheel formed in late 2015 and have supported bands such as the Happy Mondays, DMA’s and The Orielles. Rai Kah Mercury displays subtlety and intensity often in one song. Influences can be traced through Free, Crazy Horse, Joy Division to Radiohead, and Black Rebel Motorcycle Club.